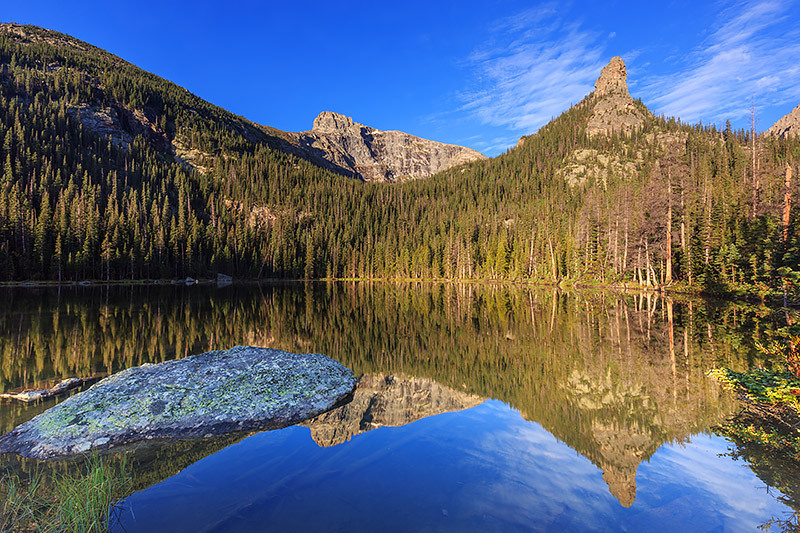 Spruce Lake is one of the little gems of Rocky Mountain National Park. While it's is located in close proximity to the ever popular Fern Lake, Spruce Lake does not get nearly the amount of hikers the more visited locations in the area do. The unmanintained trail to Spruce Lake can be a little difficult to follow in spots, but the additional mile long hike from Fern Lake will reward visitors with solitude and a beautiful view of Castle Rock and Gabletop Mountain. Spruce Lake is also a favorite of Anglers. Photo © copyright by Thomas Mangan.